You know I’ve probably said this before in a previous post, however this year in 2018, it has been predicted that 90% of viewed content online is going to be in video form, vlogs included. 90%, that’s huge. So that means, really, that we as creators should be incorporating video into what we do. Thing is some of us are great putting pen to paper (or finger to key) yet lack the confidence to create a video. Myself included. With the launch of the ELLEfluence Academy though, I know that video is paramount. 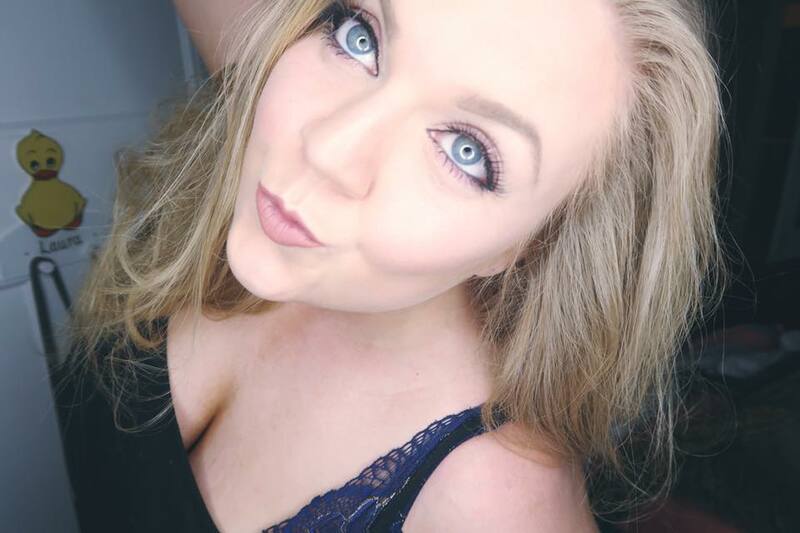 I created a video for one of our ELLEfluencers in our Facebook group to show her how to create a free custom email address, like mine hello@elleblonde.com. The easiest way for me to get that to her was uploading to YouTube. I did and in 6 months I’ve had a modest 3,285 views on this video alone since I published it. I only intended to help one person, however, apparently, over 3,000 people are looking for the same thing. That’s great right. 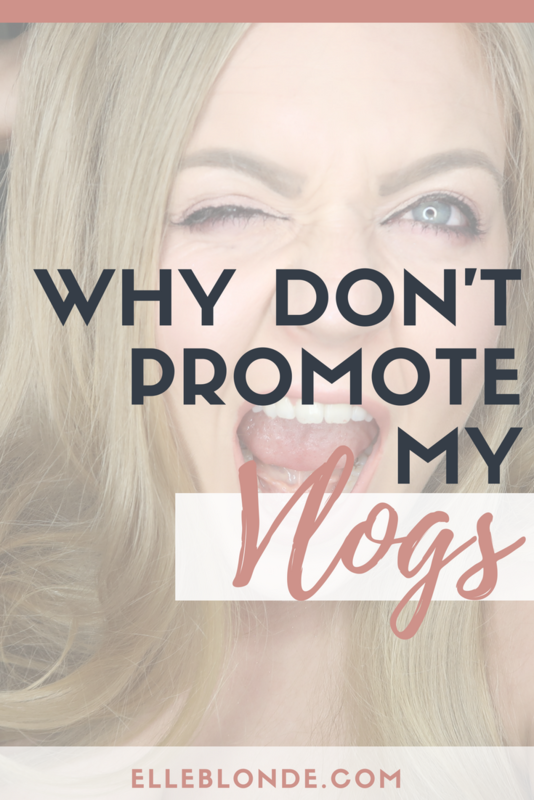 Yet I’m talking about why I don’t promote my vlogs, aren’t I? Here’s the thing. I can do my thing on Instagram and on here, they’re my favourites. YouTube, although I understand it, is not really my forte. That’s why I’m easing into it by committing to upload a vlog weekly. What? That makes no sense. You’re right. I have a lisp, I’m incredibly vain, and I know that I have good angles. With vlogging, the camera catches some of my most flattering angles. Think double chins and up the nostril shots. When I’m in control of creating flawless images on my Instagram I’m fine. I get a little panic-stricken when I’m real and raw, hair in a knot on the top of my head, dressing gown on and last night’s make up smeared across my face. Let’s face it here I don’t always take my make up off. I sometimes get home from events super late, have quick deadlines and a never-ending to-do list. I need them 5 minutes of not cleansing and toning. My voice. The Geordie accent voted as the sexiest accent, you’d think I’d be championing my voice. Fact is sometimes it’s harsh. Sometimes people don’t understand me and on occasion, sometimes people think I’m Welsh (shoutout to Birchbox’s Beth here for this one). On top of this, I sound like Minnie Mouse and I have a list. Speech Gods you were not loving me when you made me were you? So far I’ve created 5 videos which I speak in. I’ve edited them and I’ve recorded hours of content, listened to them repeatedly and you know, my voice is kind of growing on me. It’s getting better. I’m not really wincing when I hear it now. I’m currently using my vlogs to build confidence so that I feel read to promote. For now, just pressing publish is a big step for me. I’m sharing my life. Every aspect, behind the scenes. In my vlogs I share me looking a mess, my house a mess. I share details about my life people don’t really know. It’s a behind the scenes view of my life. People know me, yet they don’t really know me and whilst I’m happy to share my vlogs this is a very strange concept for me. Am I oversharing? To be honest, it baffles me why anybody would be interested in my life anyways as I personally, don’t feel like I’m that interesting. Why would people want to see my life? All I do is work and eat. Literally. I want to see how I reach just by really concentrating on the copy in my descriptions and my titles. For the remainder of this quarter, I’m just building content without promoting any of it. Simply because like a blog, people want to see more, they don’t just want one video right? They want to binge watch! So while I’m getting into the habit of uploading a blog each week, and preparing videos for the end of next month to go live for Q2 and phase 2 of my YouTube strategy. I’m simply testing the water with organic reach. FYI, you should always have a strategy for each social media channel as well as your blog. You should also have something that you can track and record your successes and wins, your growth and even your failures. What’s the point in simply staying stagnant? That’s not going to let you live your best life, is it? I mean unless you’re already living your best life? I may not be the YouTube Queen but I do know a thing or two about business and I’d love to help you any way I can, that’s why I’d love you to become one of our Boss Queens and sign up for weekly tips straight into your mailbox. Drop your deets down below. With this all said and my reasons for why I’m not ready yet to promote my vlogs although I probably should. Ironically I’d love you to subscribe to my channel. If you drop a comment on any of my videos saying you came from this post I’ll subscribe back to you too. You scratch my back and I’ll always scratch yours! PS I’m not saying that you shouldn’t promote your YouTube channel, you 100% should just right now is not the right time for me!. Got any other Vlogging tips? I’d love to hear them. As always, I’d love you to pin this post to Pinterest. Previous articleWant to know why I love faux floral bouquets?